The holidays are not always frosty and cold. Sometimes they are downright warm! 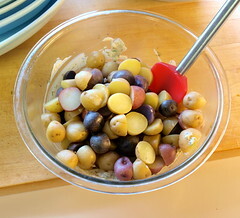 Since this is meant to be festive, I used a mix of baby red, blue and yellow potatoes, but any kind of baby potato will be fine. 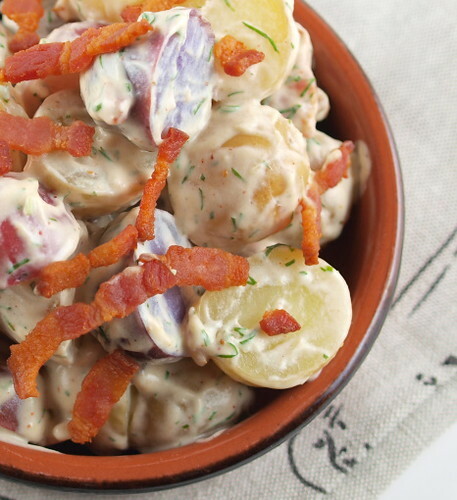 You may think this salad has a lot of dressing, but I dress my potatoes when they are very hot, then allow them to chill for at least four hours in the fridge. 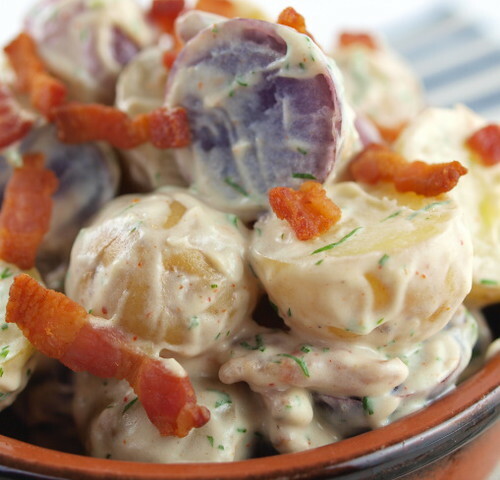 The potatoes seem to soak up a lot of the dressing, which is not a bad thing considering how tasty it is, so the salad is very flavorful. 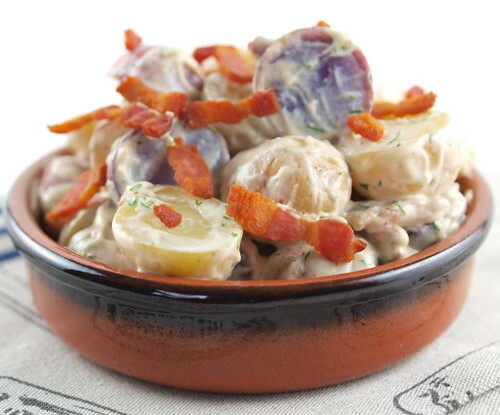 This is good cold or at room temperature, and you could eat it warm but I think it is best if the flavors have a chance to get all cozy in the fridge. 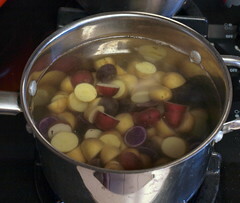 Put the potatoes in a large pot and add enough water to cover by one inch. Add a few generous pinches of kosher salt and place the pot over high heat. Once the potatoes come to a boil set a timer for 10 minutes. 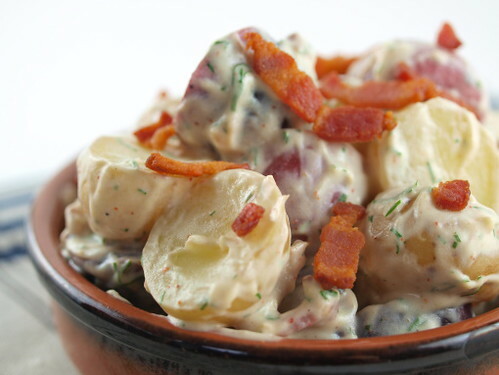 The potatoes are ready when they are fork tender. Drain well. 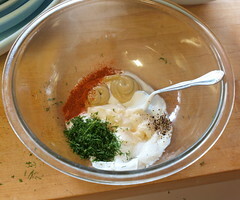 In a large bowl combine the mayonnaise, mustard, dill, garlic, smoked paprika, pepper, salt, and onion and mix well. Add the hot potatoes and gently toss to coat. Add half the chopped bacon and fold in. Cover and chill for at least four hours. Garnish with the reserved bacon. Enjoy!